Can I use my spare mobile phone as a screen to live view my camera feed? I’m paraphrasing a little there, but that’s the question a friend asked of me last night and I thought I’d take a look. The short answer is yes and there’s a few ways to achieve that. I quickly stumbled onto an easy and cheap way to achieve it and it turns out I already had all the parts..
Good news! No cutting or soldering required on this one. It’s all plug and play. Starting at the camera (wireless 9 volt in this case) we transmit the video feed to the receiver unit wirelessly where it’s fed to an EasyCap USB dongle (one of 3 I picked up for about $5 on eBay). 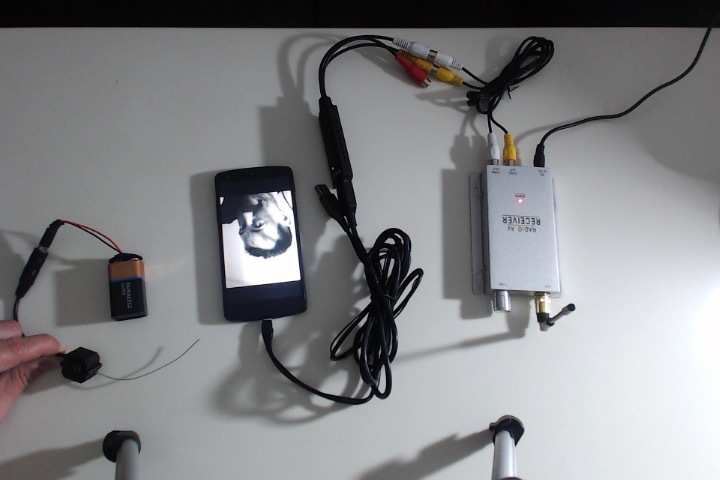 To interface the video capture dongle with the phone I’ve dug out the ugliest USB OTG cable the world has ever seen (the one I made in an old post when I first started this site). 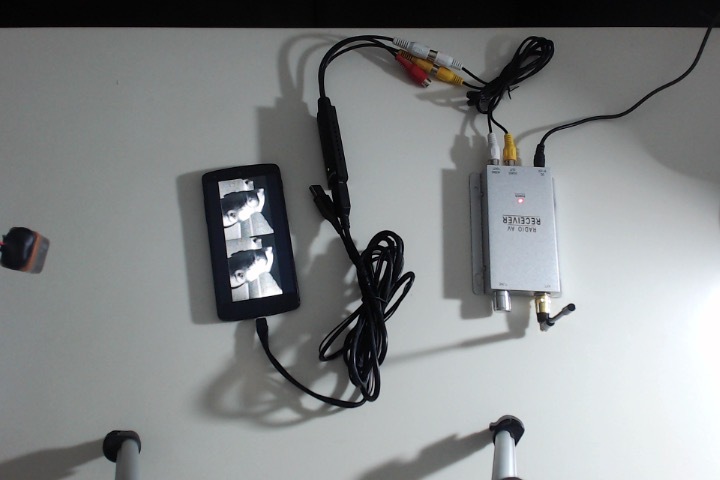 The final piece of the puzzle was the FPViewer application which receives the feed from the EasyCap and displays it on the phone. As soon as the image came up I spotted the Google Cardboard logo. 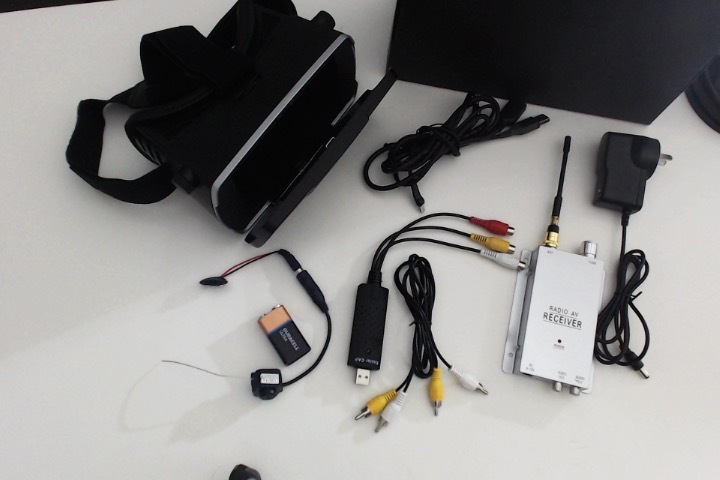 As it turns out, this app also provides the functionality to put your phone into a VR headset and use it as a First Person View flight system. 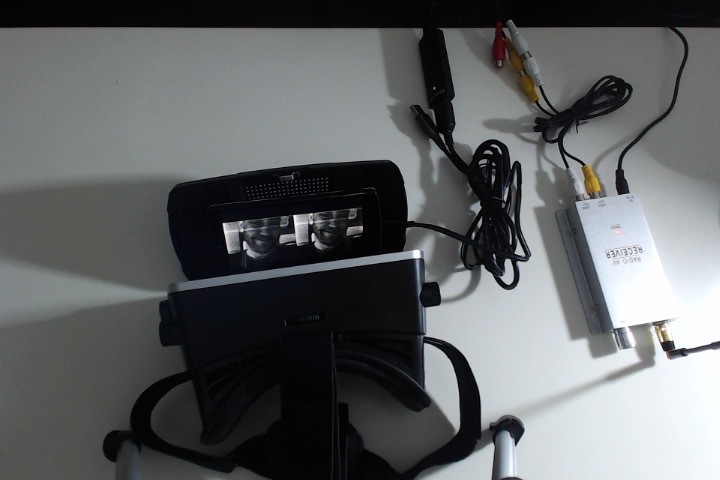 Hit the Google Cardboard button and you’re given the split screen view, ready to go. 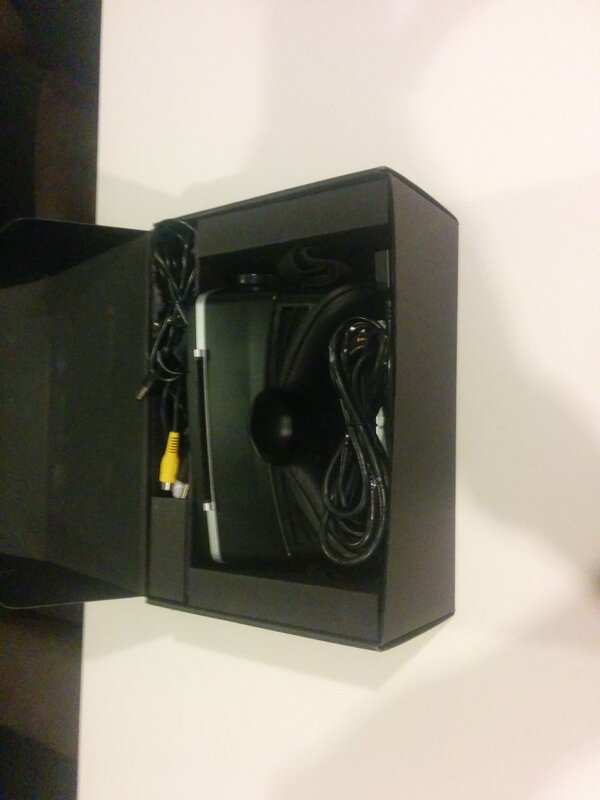 As an added bonus, I managed to fit the whole kit into the VR headset box. I had been thinking about throwing it away for a while but now I’ve got a whole FPV kit ready to bolt onto whatever I build, I’ll definitely be keeping it. Previous post You Say Wireless Power, I say Evanescent Wave Coupling.